THE Australian Government has made big cash payments illegal, but is it just giving a free kick to cryptocurrencies such as Bitcoin? In Tuesday's Budget, Treasurer Scott Morrison announced a crackdown on the "black economy", and a ban on cash payments was the centrepiece. From July 1, 2019, any business transaction over $10,000 has to be done using electronic payments. Handing over a hundred $100 notes or more will be illegal, as the government tries to flush out tax avoiders, drug dealers and the rest of the underground economy. Bitcoiners and other cryptocurrency fans predicted this, and the government is playing into their greedy little hands. 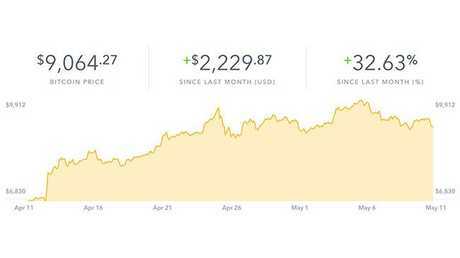 Bitcoin surged to $US20,000 last year and then quickly plunged back down to about $6700. Many thought it would continue back down close to zero. Instead, it has rebounded about 40 per cent in the past month to more than $9000, as this next graph shows. The volatile Bitcoin has rebounded in the past month. The recommendation of a ban on cash comes from the government's Black Economy Task Force. The head of the task force, Michael Andrew, described the reasons people use cash in a recent podcast, giving as an example a shopkeeper who runs two tills, keeping some money out of sight of the taxman. "It's basically paying people cash who want to maintain their welfare, their visa status or avoid their child maintenance," Mr Andrew said. "That is widespread in certain areas particularly … the services-based economy, security industry, hospitality, cleaning, couriers, personal trainers, hairdressing and nail salons for example." All these anti-cash trends are giving life to Bitcoin, and other digital currencies that could serve as an alternative to cash. For some people, that's the whole point of cryptocurrencies. A big part of the early adopters of Bitcoin were people who are deeply worried about government. Many early Bitcoin adopters were libertarians and anarchists who feared an Orwellian world where government constantly monitored and controlled you. When Mr Morrison bans cash, those libertarians and anarchists get their "I told you so!" moment. But these days, as Bitcoin aims for mainstream acceptance, the industry is keen to distance itself from those people. "It is not about encouraging a black market economy," says Caleb Yeoh, the co-founder of Travel by Bit, which has made buying things with cryptocurrencies possible at about 150 Australian businesses, including mainstream outlets such as Red Rooster. "We signed up over 150 businesses across Australia. Each one of them gets a tax reporting functionality on our platform, so they declare taxes even thought they take payment in Bitcoin." Yeoh, whose business is part-funded by government grants, points out that Bitcoin maintains a record of every transaction in its Blockchain. "People often have this impression that if you take payments in Bitcoin you're creating a cash economy, under the table, can't be monitored by government. That's not true at all. It is transparent on the Blockchain. If you are doing something bad with Bitcoin you should be able to be caught." While this is true of Bitcoin, it is not the case with every other cryptocurrency, some of which are designed to be anonymous. So the big risk is not when businesses agree to take Bitcoin, like this labour hire firm has. 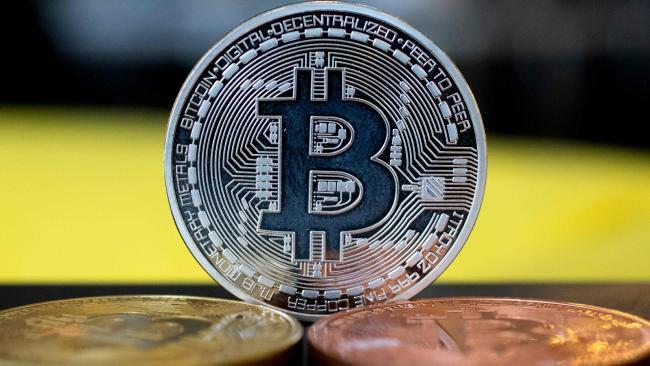 ("You could be forgiven for thinking that accepting Bitcoin payments is a publicity stunt," the firm's website says, insisting it will actually be efficient. However, you can check its Bitcoin address on the Blockchain and see that no customers have paid bitcoin to that address yet). The big risk is when the guy who is installing your new kitchen asks if he can be paid in anonymous cryptocurrencies like Monero or Dash. That's when the government's cash ban could really backfire.